This is going to seem fairly obvious, but when you plan ahead and optimize calendar time, you can orchestrate an enormous amount of learning. And the best part is that when used appropriately, all of these concepts just naturally evolve through discussion. However, it will require you to be specific in your questioning. So, I am going to introduce the fundamental skills you need to be covering and share a variety of targeted sentence frames that you’ll want to use regularly. Depending on the age level you teach, all of the sentence frames may not be developmentally appropriate. So simply pick the ones that will help you focus your learners’ attention on the skills they need to know. 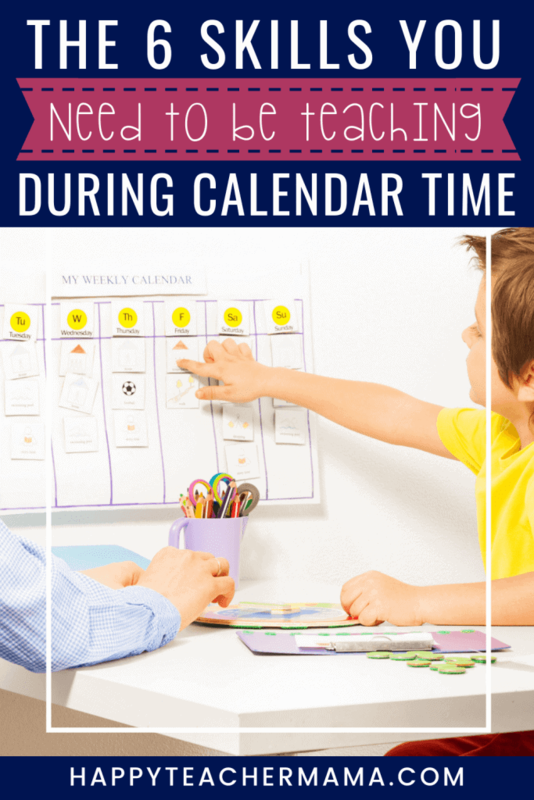 Then you will be able to maximize the learning that is taking place during calendar time. One of the first things you can encourage during calendar time is memorization of the days of the week. Each day make sure that your verbiage includes the day of the week. Talking about the days of the week is a perfect time to incorporate the five weekdays (or school days) and the two days that make up the weekend. The most important thing to consider is simply the relationship between the days of the week. ⇒ You can access a FREE set of days of the week strips in the PRINTABLE LIBRARY. Calendar time is the perfect opportunity to spend time discussing the months of the year. While these will also need to be memorized, the current month should be mentioned daily. Remember to discuss the fact that there are twelve months in a year. This will also be the perfect time to introduce the seasons. 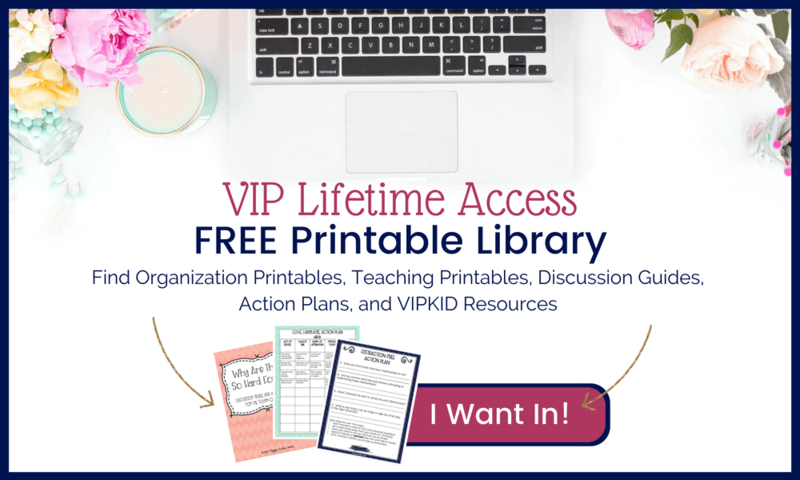 ⇒ You can access a FREE set of months of the year strips in the PRINTABLE LIBRARY. Obviously, the seasons tend to coordinate (at least loosely) with specific months of the year. This is the opportune time to discuss that there are four seasons and they always follow the same pattern. Spring always follows winter. Summer always follows spring. Fall always follows summer. Winter always follows fall. Incorporating the days of the week into calendar time is simple using these sentence frames. Then add in the months of the year by using the sentences “This month is ______. Last month was _____. Next month will be _____.” Make sure to use the past, present, and future tense helping verbs in the target sentences so that you are leading your learners to the correct complete sentence. When you are talking about past, present, and future, this is the perfect time to introduce and discuss the concept of “before” and “after.” These prepositions align with the days of the week and months of the year seamlessly. It’s important to make sure your kiddos recognize that ordinal numbers have both a standard form (number form) and a word form. This will help them distinguish the relationship between numbers and words. ⇒ You can find a FREE set of printable ordinal number flashcards in my PRINTABLE LIBRARY. Because calendar time is so essential, I created two different calendar bundles that would help you facilitate learning. However, I also wanted to make sure that these bundles coordinated with the other items in my farmhouse decor line. The first is a Rustic Wood Calendar Bundle and the second is a Rustic Coastal Calendar Bundle. By incorporating calendar time into your day, you’ll be addressing foundation skills that our learners need to know.